What is Obedience & Rally? A hunt test is an event at which the natural ability and training of gun dogs are evaluated against a written standard. Each dog that meets this standard earns a pass. This is unlike a field trial in which dog/handler teams compete against one another with only one dog being declared the winner. In the 1980s hunters with good retrievers, but without the resources, or time, to be able to be competitive in field trials were anxious to have an avenue to test their dogs for hunting abilities. The Qualifying and then Hunting Dog stake at field trials satisfied that need for a while, but did not offer titles. Thus something more was desired. The North American Hunting Retriever Association (NAHRA) was formed to satisfy this need. 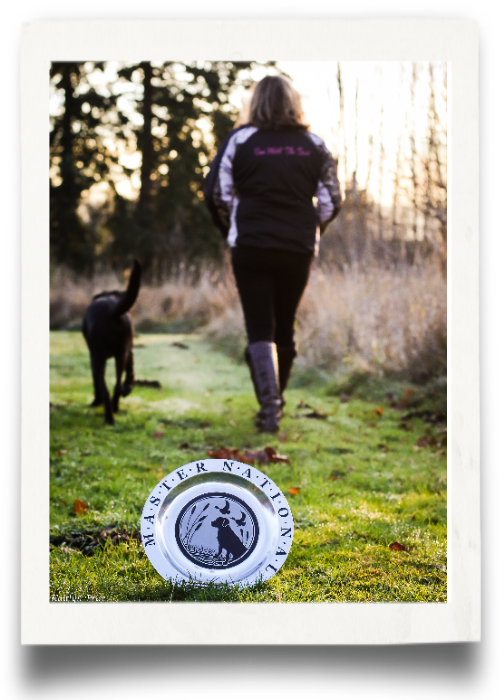 AKC and NAHRA worked together for a while developing a joint hunting test for retrievers. After a time AKC and NAHRA went their separate ways. At this point AKC began it’s own Hunting Test for Retrievers program with titles offered for Junior Hunter, Senior Hunter and Master Hunter. Junior Hunting Tests consist of single marked retrieves on land and water and dogs are allowed to be lightly restrained at the line; Senior Hunting Tests consist of double marked retrieves, and relatively simple blind retrieves on land and water, as well as honoring the retrieve of another competitor; Master Hunting Tests are for the “truly finished and experienced hunting companion” and as such full refinement in trained abilities should be expected. Master tests consist of multiple marked retrieves on land, water, and land water combination. Master blind retrieves should be demanding and are done on land and water, one of which must be a double blind. Honoring is also required as well as a walkup situation, where the dog should be walking at heel, as the first bird is thrown in a marking situation. The first Retriever Hunting Test Sub-Committee was composed of eight individuals from around the country. Later it was changed to consist of four individuals, one from each region, and a Chairperson. Nelson Sills also serves as an advisor to the Sub-Committee. 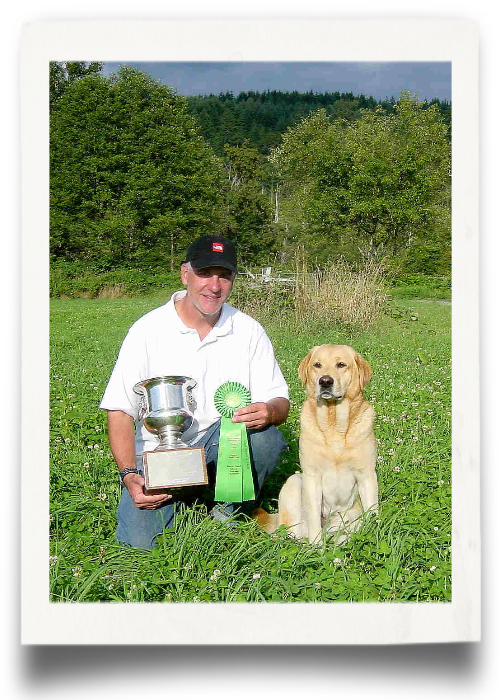 The first AKC licensed retriever hunting tests were held in 1985. That first year, there were 13 events with a total of 681 entrants, compared to 2005 in which there were 341events, and 34,799 entries. The distinction of the first events belongs to the Jayhawk Retriever Club of St. Joseph, KS and the East Texas Retriever Club of Lufkin, TX, which ran on the same dates. As you can see from this, the program has been a rousing success. In fact its success is the largest problem the program faces. Large entries call for more workers and judges, and make it hard on smaller clubs. Owners, who had titled their dogs as Master Hunters, soon desired something else to strive to achieve. Mr. Nelson Sills urged the AKC to investigate the possibility of instigating an event to give Master Hunters something else to strive toward. On advice from Mr. Sills, Bob McKowen and John Carroll, established the first Master National Hunting Test for Retrievers, after a survey of AKC clubs indicated that the majority of respondents favored such an event. The Retriever Field Trial sport of today can trace its origin to the late 1920’s to early 1930’s when a small group of avid hunters devised a sport in which they could evaluate the performance of their hunting retrievers in a competitive environment and obtain Championships along with bragging rights. Today’s modern Retriever Field Trial is a much evolved event with some of the best trained, highly skilled, and well conditioned competitors in the Sporting Group. In the early days of the sport most marked retrieves and blinds rarely exceeded 100 yards in distance, by comparison today’s events often see multiple marked retrieves in excess of 250 yards and blind retrieves sometimes in excess of 300 yards. Today’s competitive All-Age Retriever must be in both excellent physical and mental condition, test in these trials almost always involve multiple marking test consisting of double, triple and quadruple marks with one, or several gun stations retired from the dogs sight, also single and multiple blinds are often involved. Most weekend retriever events are comprised of four events, two are major all-age events that carry championship points, and the other two are minor stakes for younger dogs. One of the following, open to professional trainers and amateur trainers, is offered, Open All-Age, Limited All-Age, Special All-Age, or Restricted All-Age, the determination as to which is offered is based on the entries at the clubs previous event. The other major stake, offered to Amateur handlers only, is Amateur All-Age, or Owner/Handler Amateur All-Age. At the previously mentioned stakes championship points are awarded, the awarding of these points count toward a dogs Field Champion and Amateur Field Champion status. Also on a yearly basis these points count toward qualification to participate in both the National Open Retriever Championship and National Amateur Field Championship, each held once yearly. Generally two minor stakes are also offered, one being the Qualifying, this stake is very similar to an all-age stake but generally not as difficult in content. The other minor stake, a Derby, is for young dogs that are at least 6 months but have not reached 2 years of age, this stake involved marked retrieves only, these may consist of single, double are triple. Points are awarded for placement in this stake and count toward a yearly Derby Championship sponsored by the Retriever Field Trial News, a publication owned by the Retriever National Open and Amateur clubs. Dogs must be at least six months of age on the day of the test. The minimum Working Certificate requirements shall be designed to establish that the dog is not gun-shy: accordingly, the dog will be expected to retrieve a shot game bird at a distance of 50 yards or greater in light cover on land. The dog will be expected to retrieve two ducks from swimming water (if available) in immediate succession to establish the dog’s willingness to reenter water. 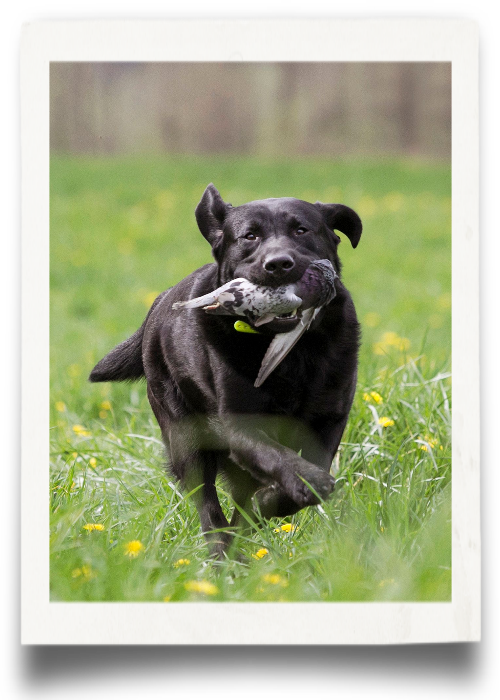 Steadiness is not required so a dog may be held on line, however the dog may not be released for the retrieve until the bird has fallen. Handling is not permitted. Although delivery to hand is not required, the word “retrieve” in the performance criteria means that the birds should be returned to the handler. Often, judges will establish an area of delivery within easy reach of the handler. Any reasonable command and gesture may be used to direct the dog to retrieve (not to be confused with handling, which is directing the dog to the bird’s location via hand signals) and return. Nothing may be thrown and no coercion may be used to encourage completion of a retrieve once the dog has been initially released to retrieve. These requirements may be satisfied by completing a WC test held by a local specialty club; by acquiring an AKC Junior Hunter (or higher) title; by completing land and water back-to-back series in an AKC licensed field trial; or by completing successfully one AKC hunt test provided that the dog shall have met the requirements set forth above. The owner of the dog is responsible for making arrangements with the hunt test/field trial judges and the hosting club BEFORE the test/trial, and for providing a form (see sample at the end of the brochure) for their signature to verify the “pass” upon completion of the test. In addition, local breed clubs may offer advanced versions of the WC, such as an AWC (Advanced Working Certificate) or WCX (Working Certificate Excellent). These are considered club titles as the requirements for each designation vary from club to club. 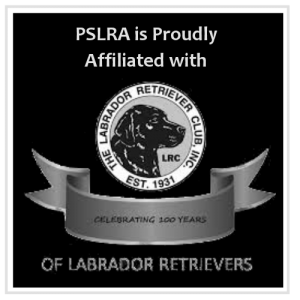 Local Labrador breed clubs that hold annual Working Certificate Tests are the Puget Sound Labrador Retriever Association and the Rose City Labrador Retriever Club. In addition, other local retriever breed clubs (for instance, the local Golden Retriever, Flat Coat Retriever and Irish Water Spaniel Clubs) often hold annual WC’s for their breeds. 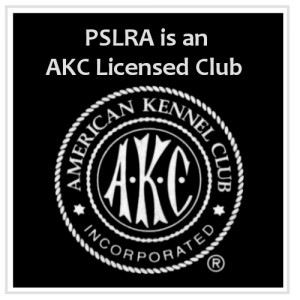 Their test requirements are typically more difficult than the LRC WC requirements, so it may be possible to coordinate with those clubs to allow your dog to run in their test (and either run their test scenario or have them alter the scenario for your dog) provided the arrangements are made in accordance with LRC policy. What is a CKC WC (Working Certificate)? Because our club has Canadian members and many of our American members enjoy participating in CKC events, it is beneficial to describe the CKC program as well. “The primary objective of the Working Certificate Tests are to encourage the development and use of those natural abilities for which retrievers were originally bred. The tests provide a means to help encourage retriever owners to develop their dogs’ natural abilities, and to have proficient hunting partners. The Working Certificate test shall be for all eligible breeds 6 months of age or older on the day of the test who have not received confirmation of the title of WC from the CKC on or before the closing date for entries. The tests for WC shall be: (a) Back to back singles on land (b) Back to back singles in water. The requirements of the WC are designed to test a dog’s natural abilities such as marking ability, memory of fall, intelligence, desire, style, perseverance, nose and courage. A dog need not be totally steady and may come to line on lead. The dog may be held in heel position by lead, collar or hand. Dogs shall not wear any type of collar while retrieving during the test. The dog should deliver to hand and must bring the bird across the line. The dog should show no evidence of gun-shyness or hard mouth. The dog should show desire and willingness to work in all weather conditions. Back to back singles on land should have an angle of not less than 90 degrees between the falls, be in light to moderate cover and be approximately 50 to 75 yards in length. The length will vary as to the type of cover and terrain. The birds should land in cover so that they are not conspicuous from the line. The back-to-back singles on water may be run from separate lines. If the test is run from one line, the angle shall not be less than 90 degrees between the falls and shall be run from the edge of the water. If the test is run from 2 separate lines, the retrieves shall be consecutive back to back singles and the 2 lines at the edge of the water shall not be more than 20 feet apart. Birds should be in swimming water from 25 to 40 yards away depending on the cover of the water. Birds should land in open water or at the edge of reeds but should not be hidden. Tests should be set-up so as not to encourage shore running. Decoys are not to be used. A dog running the WC test must not be handled, as marking ability, style and desire are of primary importance. The dog should return to the handler as directly as possible, and can be given whistle, voice, and hand encouragement to return. Speed is not essential, but the dog should not disturb too much cover on the way to the falls. 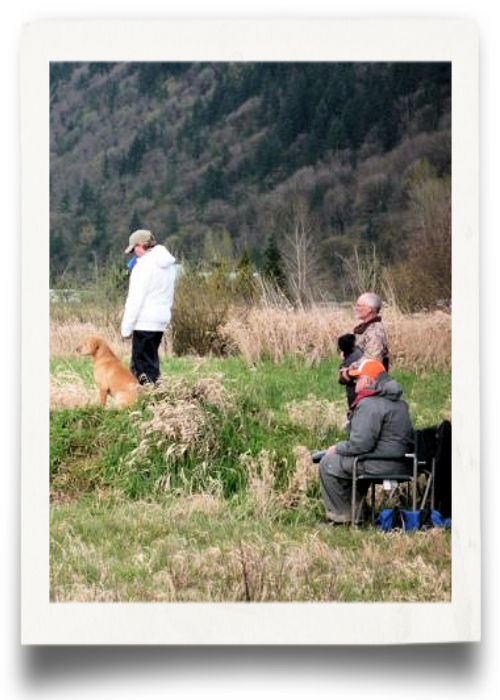 All gunners and throwers should be visible to the dog and should not move after the birds are thrown. Gunners and throwers should stand in close proximity to one another if separate gunner and throwers are used. The bird pail must be kept covered. Guns and blank ammunition are to be used. The Working Certificate Intermediate test shall be for all eligible breeds who have earned the title of WC. The tests for the WCI shall be: (a) Land double (b) Honor on the land test (c) Water double. The WCI tests are designed to continue to test the dog’s natural abilities and to show that he can be a useful partner on a hunt. Dogs running in the WCI should be reliable and steady, under control, show desire and willingness to work and be able to use their noses. The dog must deliver to hand, and shall come to the line off lead. Dogs and handlers are under judgment from the time they leave the holding blind, throughout the test, and until they are behind the judges after the test. The holding blind shall be placed within 25 yards of the judges. Land Double – the angle between the falls shall be not less than 90 degrees. The birds will land in cover and not be conspicuous from the line. The falls shall be approximately 75 yards long in moderate to moderately heavy cover. Honor – the dog shall honor on the land test. The honoring dog will be required to sit and stay until the working dog has made the area of the fall, or should have made the area of the fall, for the first bird he is to retrieve. Handlers may not intimidate, or interfere with either dog during the honor. Handlers are not to block their dogs’ views of the falls. In the event of a delay in judging, the judges may permit the honoring dog to be relaxed in sight of the judges until the test is ready to resume. Water Double – the angle between the falls shall not be less than 90 degrees. The birds will land with a definite and visible splash 40 to 50 yards from the line. One bird shall land in cover. Decoys are to be used, singly anchored and centrally located between the 2 marks and visible from the line. WCI dogs are not required to handle on a mark. Marking ability, style and desire are of primary importance. Dogs should return directly to the handler on whistle command or no command. Verbal commands must be kept to a minimum and used only if absolutely necessary when the dog is within about 15 feet of the line, not when he is out in the field. Gunners and throwers shall not move after the birds are thrown. Bird pails are to be kept covered. Guns and blank ammunition are to be used. WCX dogs are not required to handle on a mark. Marking ability, style and desire are of primary importance. Dogs should return directly to the handler on whistle command or no command. Verbal commands are discouraged when the dog is in the field. Gunners and throwers shall not move after the birds are thrown. Bird pails are to be kept covered. Guns and blank ammunition are to be used. The WCX dog should be a steady, reliable worker that would be an asset to have along on a hunt. Dogs and handlers are under judgment from the time they leave the holding blind, throughout the test, and until they are behind the judges after the test. The holding blind shall be placed within 25 yards of the judges. The dog shall be off lead at all times while under judgment. The dog must deliver to hand, show desire and willingness to work, be able to use his nose, and follow directions when necessary. The dog must not disturb too much cover either on the way to or from the falls. Walk-up – the test shall include a 15 yards walk-up for both the working dog and honoring dog. Both dogs shall stop when the first gun is fired at which time both handlers may quietly tell and/or whistle their dogs to sit and stay. The honoring dog must honor until the working dog has picked up its first mark, or should have picked up its first mark. The first bird thrown shall be about 100 yards and the second bird about 50 yards away in moderate to heavy cover. There shall not be less than a 45-degree angle between falls and they should be visible to both dogs. Handlers are not to block their dog’s view of the falls. The thrower shall stay in position until the birds have been retrieved. Both handlers shall carry unloaded guns or replicas during this test. The dogs shall honor after they have run the mark. The walk-up test, if the grounds permit it and the judges choose to, can be to one bird in the water and one bird on land. The bird in water should be the shorter bird thrown about 50 yards from the line. Water Double – shall have falls up to 50 yards in length in swimming/wading water with natural cover in the water. The falls shall be in light cover and the dogs shall be able to see the splash of the ducks as they land. Effort should be made to prevent the ducks from drifting too far from the edge of the water, but shore running and acute water angle entries should be avoided if possible. The angle between falls should be about 90 degrees. Several decoys, singly anchored, should be in front of the line but not in a direct line to either fall. The handler shall point an unloaded gun or replica toward the mark and a designated gunner shall discharge a gun within 6 feet of the handler for one mark. Land Blind – shall be about 50 yards to a maximum of 75 yards in length, depending on the cover and terrain, and should have some sort of natural obstacle such as a ditch, small hedgerow, or lying water about 15 feet in front of the line. A shot will be discharged at the line by the designated gunner when the dog is on line, and before it is sent. Cover should be moderate, and if possible, open flat terrain should be avoided when setting up this test. Water Blind – shall be a maximum of 50 yards in length. The running line shall be no more than 15 feet back from the water’s edge and it must be a direct not an angle entry. There shall be no gunfire, no diversion or blind planter in sight. Decoys, if used must be singly anchored at least 10 feet off the direct line to the blind and not closer than 10 feet to either the shore or the blind.